‘GRAM’ is an international event which is being organized from 9 to 11 November at the Jaipur Exhibition and Convention Center (JECC) at Sitapura in the Pink City. 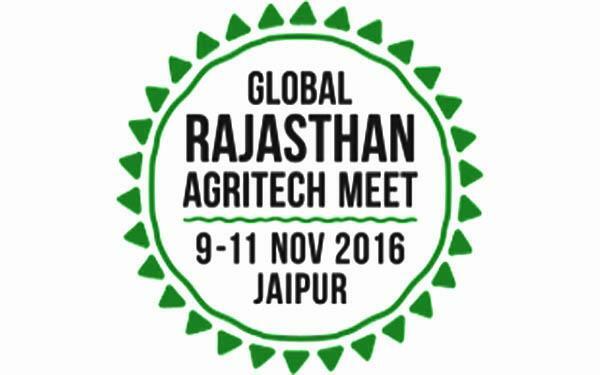 It is jointly organized by the Government of Rajasthan and Federation of Indian Chambers of Commerce and Industry (FICCI). Israel is the partner country for the event. Three special trains known as ‘GRAM Express’ will run at the time of the event to bring the farmers to Jaipur from Udaipur, Barmer and Sriganganagar. As many as 900 special buses will also ply from different parts of the State. ‘Jajam Chopal’ is designed in such a manner that farmers shall be able to imbibe knowledge and clarify their doubts from experts in a non-formal setting and through the use of local idiom. ‘Smart Farm’ will be a live walkthrough model built at GRAM venue. It will showcase the best of modern technologies in entire agriculture value chain starting from pre-harvest, post-harvest to modern scientific storage, banking and agri marketing opportunities. This farm will also effectively disseminate information about various Rajasthan Government policies and new initiatives in each section of value chain and provide information on concepts like centre of excellence, micro irrigation technologies, ICT, Value addition, scientific warehousing. Display of Krishna artificial leg prosthetic technique for disabled cows. This technology has proved to be highly beneficial in eliminating the evil of cow disability from the State. Till now this technique has been used on 35 cows. Malani is a rare breed of horse from the Marwar. Kadaknath – an indigenous breed of chicken found in eastern Madhya Pradesh — especially around Jhabua and Dhar. Its flesh is black in colour, and has higher melanin content. It also has more protein, less fat and its meat contains less cholesterol than regular chicken.